Inovelli exists to make life simpler through Home Automation. We started from an idea that people want their lives to be simpler. Our products are designed to be easy to install and work with over 1700 of other products and more than 450 different brands. Samsung Connect, Alarm dot com, Frontpoint, Iris by Lowes, Qolsys and Vivint. If, for some reason our switch does not work with your HUB, we will fully refund you. We know that Home Automation can be tough for the beginner (we've been there), so every smart home product we sell comes with a QR code and special link that directs to a step by step tutorial (video and written) on how to set up your new Home Automation switch. 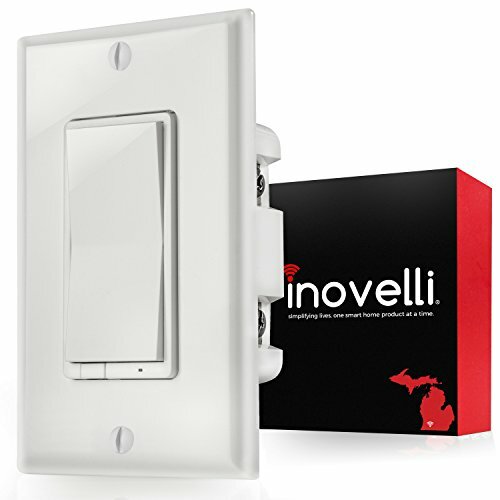 Simplifying lives, one smart home product at a time… that’s Inovelli.